UPDATE: The Hunger Strike is on in the Santa Clara Main Jail- more than 300 people are participating, many of them in solitary confinement. 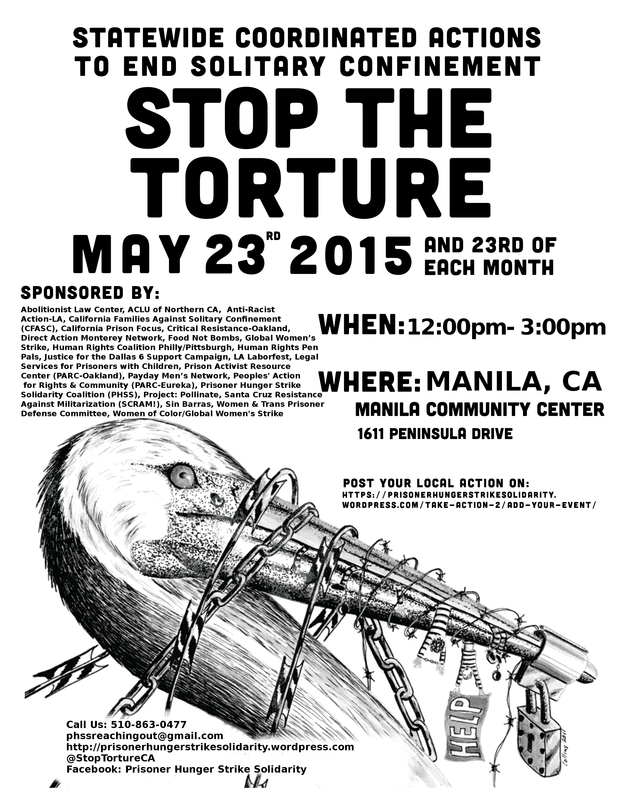 The classification system in Santa Clara Jails must change and solitary confinement must end! Please note this correction in the Sheriff’s number. The correct number is 408.808.4611. Additional numbers to call: 408.299.8770 and the Public Information /Public Relations Officer- 408.808.4905 Read the below statement regarding the Hunger Striker’s Demands and, when you call, express your support for those human and civil rights demands and for the hunger strikers. Don’t be discouraged by staff responses. State your concerns and support and keep the pressure on. Sheriff Laurie Smith has failed to respond so far. 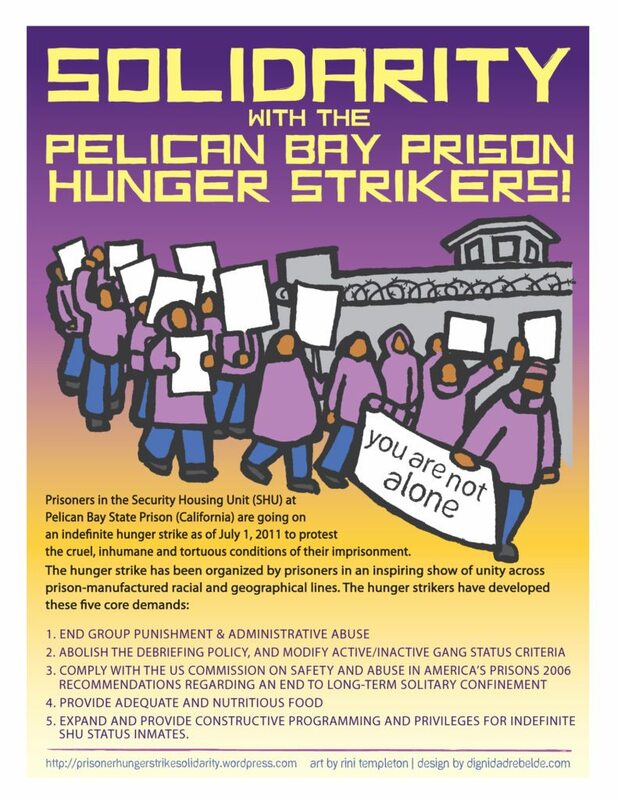 Please read and spread the below statement from people in solitary confinement in Santa Clara County, California, announcing their upcoming hunger strike to begin Oct 17, 2016 and clearly explaining their human and civil rights demands behind the strike. 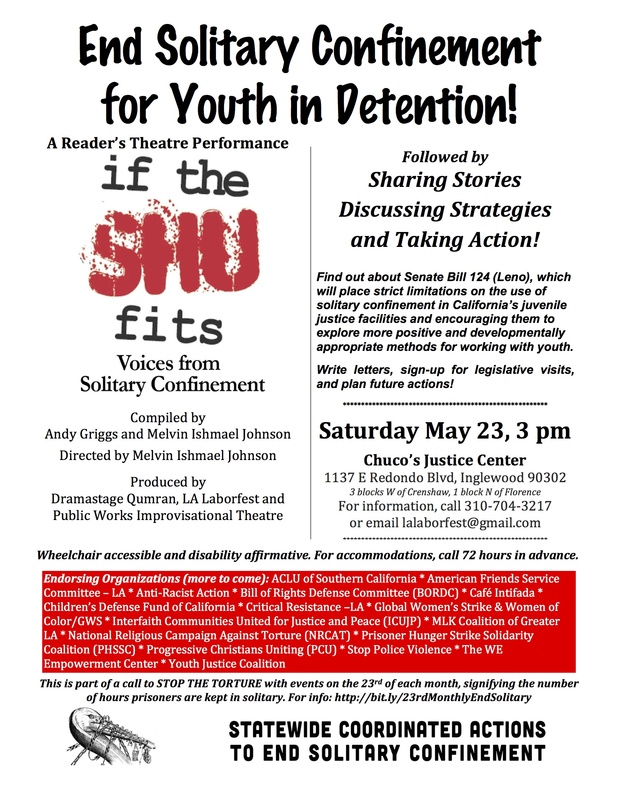 ACT IN SOLIDARITY by sharing the prisoners’ words, putting pressure on the Santa Clara County Sheriff during the strike (phone numbers provided in the statement), writing letters to the editor, and paying attention to further statements from the Prisoner Human Rights Movement in Santa Clara County Jails. All the respect across the board! Now onto the following at hand. The following will consist of an open letter addressed to all prisoners contained within all three facilities of Santa Clara County Jail, in regards to a peaceful protest in the form of an organized hunger strike. First off, allow us to stress the fact that by no means is this to be considered an attempt to promote or beneﬁt any form of gang, nor is this to be considered gang activity. This letter and its request/call for action is an attempt to enlighten and remain inclusive regardless of race, creed, or color of top/shirt due to classiﬁcation. The content of this letter does not simply pertain to any one group segment, nor any isolated issue, but instead it pertains to all prisoners within the three facilities of Santa Clara County Jail. We all have a stake at hand, and we all serve to beneﬁt from any success that may transpire as a result of our collective efforts. Therefore, it is important that we try and visualize the impact and full potential of strength and power behind our force as united prisoners for a valid purpose and common beneﬁcial interest. 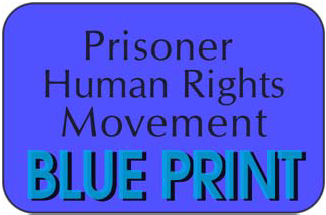 With this in mind, we are now reaching out to all like-minded prisoners who are willing and interested in banding together in a united stance of solidarity under the name of Prisoners’ Human Rights Movement (P.H.R.M.) in order to bring about real meaningful forms of change. Why? The medical care at Corcoran SHU is so bad that life-threatening situations have occurred on too many occasions to the people in the SHU and possibly also elsewhere at CSP-Corcoran that they have had to resort to a hunger strike, the ultimate nonviolent protest, in order to make this point known to the warden, the medical receiver appointed by the court to oversee California’s notoriously bad prison healthcare, and the administration of the California Department of Corrections (CDCr). Several factors made the three decide to protest the lack of healthcare now: Kambui has diabetes that is very badly regulated with a HBA1C of 9.3 – far too high for diabetics, especially with those already suffering loss of eyesight and neuropathy – and Zaharibu has dangerous, untreated, extremely high cholesterol, making him very vulnerable to stroke, and he has untreated gall stones and a CPAP machine without an extension cord to work effectively. The men on hunger strike are family men, whose loved ones need them alive and well, and they demand treatment for their life-threatening conditions. Is there any compassion at Corcoran? 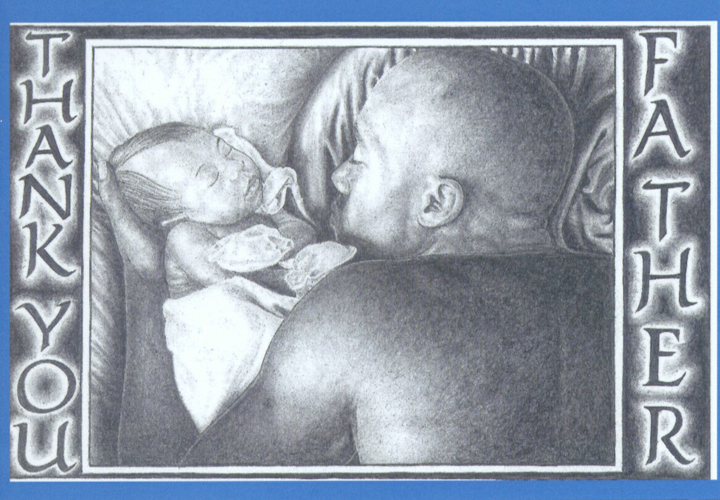 This beautiful drawing by Heshima Denham has been printed as high quality postcards and greeting cards. To place your order, email people.matter09@gmail.com. →Please call, email, or write to put pressure on the prison. Below this list of who to contact is a suggested script for your phone call, email or letter. Call, write, or email the Corcoran warden, or leave a message with his secretary. 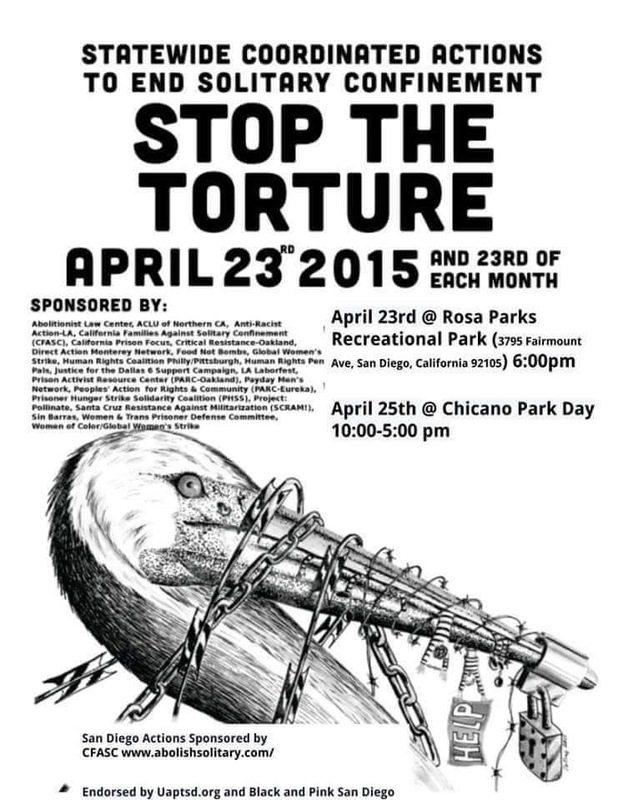 Call or email Corcoran Warden Dave Davey, at (559) 992-8800 or dave.davey@cdcr.ca.gov, or write to him at P.O. Box 8800, Corcoran, CA 93212-8309. Annabelle Parker can be reached at people.matter09@gmail.com.